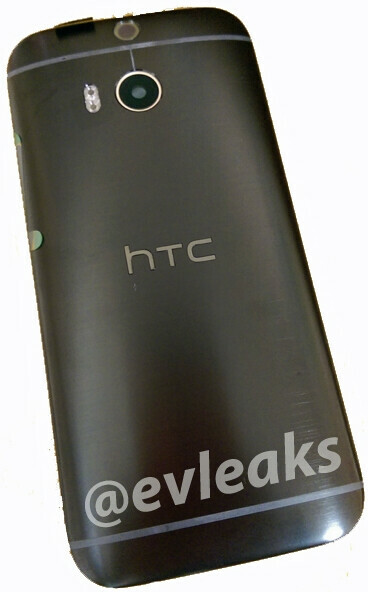 We can now take a look at a black version of HTC’s One M8, thanks to a photo revealed by @evleaks. As it turns out, and as you can see on the left, the black One M8 resembles Sprint’s exclusive One M8 Harman Kardon Edition, although it obviously doesn’t have the Harman Kardon logo on its back. Unfortunately, there is no word on when and where HTC is planning to launch the black variant of its flagship smartphone, but it doesn’t seem like this is going to be another exclusive model - which is a good thing. At the moment, the One M8 is widely available to buy in three color versions: silver, grey, and gold. There’s also a red variant, but this one saw a limited launch (for example, it’s exclusively offered by Verizon in the US). Another unannounced One M8 color variant that we saw not long ago was blue. Maybe HTC will want to launch both the black, and the blue version at the same time? Well, we’ll just have to wait and see. I like the other two variants more. I like it in black but in gun metal more. Just saw the red one last night, damn it was hot. The black looks very nice, but the dark gun metal is the best color by far. It just fits the phone so well. I guess I'm getting tired of plain old black and prefer something a bit lighter like the gun metal gray on my M8 and the space gray on my iPod Nano. Curious about the blue and red ones though. My sister's Ice blue M7 is really nice.